TBILISI, DFWatch–The government in Georgia has decided to strip the National Bank of responsibility for supervising banks and transfer this mechanism to the prime minister. The decision follows months of criticism by the government against the head of the National Bank, whom they blame for the fall in value of the national currency, lari. A draft bill has been prepared which involves creating an independent agency for supervising the banks which will be subordinate to the prime minister. After the body is split from the National Bank, it will be managed by seven members elected by the parliament. According to the current legislation, the National Bank’s functions are supervising the monetary policy and the activity of commercial banks. This issue received broad attention after the vice prime minister a few days ago said that commercial banks are to blame for the depreciation of the national currency, because they are transferring money abroad without anyone controlling it. Energy Minister Kakhi Kaladze backpedaled from his bold statement the next day, after being strongly criticized by opponents of the government and financial experts who argued that the government should not interfere in the activity of commercial banks. But government members still claim that the government has to regulate international money transfers and that the president of the National Bank is not doing this. Under Georgian law, the president of the National Bank is appointed for a seven year term and may only be fired if he commits a crime or violates the Constitution. Giorgi Kadagidze was appointed during Saakashvili’s presidency and his term ends in 2016 so it is not easy to dismiss him, despite the current government’s extremely negative attitude toward him. 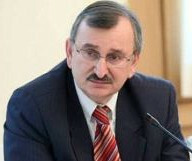 Ex-Prime Minister Bidzina Ivanishvili, who is still believed to be the decision maker in this government, is often criticizing Kadagidze and the government repeats this criticism. Under law, the head of the National Bank is appointed by the parliament among members of the managing board of the National Bank, while board members are selected by the president. Since there is tension between Ivanishvili and President Giorgi Margvelashvli and the government is also at odds with the president it was quite as expected that their positions regarding the National Bank were not reconcilable. “I do not exclude that this is one of the reasons why they want to amend the law and strip this function away from the National Bank. We have already have seen that having this body as subordinate to the government did not have any positive results. On the contrary, it brought lots of problems. This body has to be independent, and the government should not supervise commercial banks,” Roman Gotsiridze, from Economic Development Center tells DF Watch. In 2008, the supervision service was split from the National Bank but only for one year. Due to risks the service again merged with the National Bank in 2009. The president’s administration meanwhile says the initiative may further restrict the power of the president, which is unacceptable. “Political games in the economy is inadmissible,” the administration responded. Giorgi Abashishvili, one of the president’s advisers, says it is vague having such an initiative, while the country’s bank system is getting good assessments from international organizations. The International Monetary Fund recently commended Kadagidze for his professionalism. In addition, the initiative restricts the power of the president and he may veto it. Members of the ruling Georgian Dream coalition, however, do not believe that the president’s powers will be restricted and explain that the only motive for this draft is the ‘suspicious actions’ of the National Bank. The opposition is confident that the government wants to control commercial banks. Neither the National Bank nor commercial banks have so far commented.